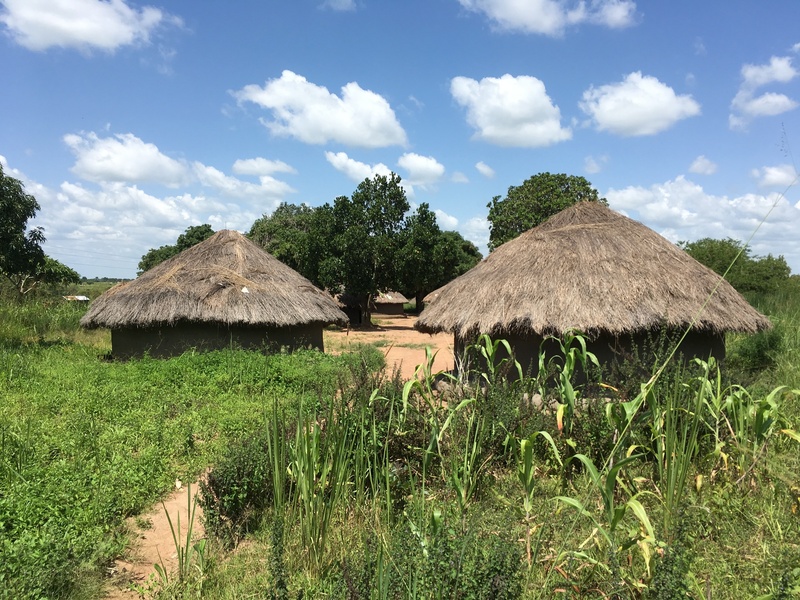 Understanding and mitigating post-conflict Major Limb Loss (MLL) in the Acholi Sub-Region of Northern Uganda. 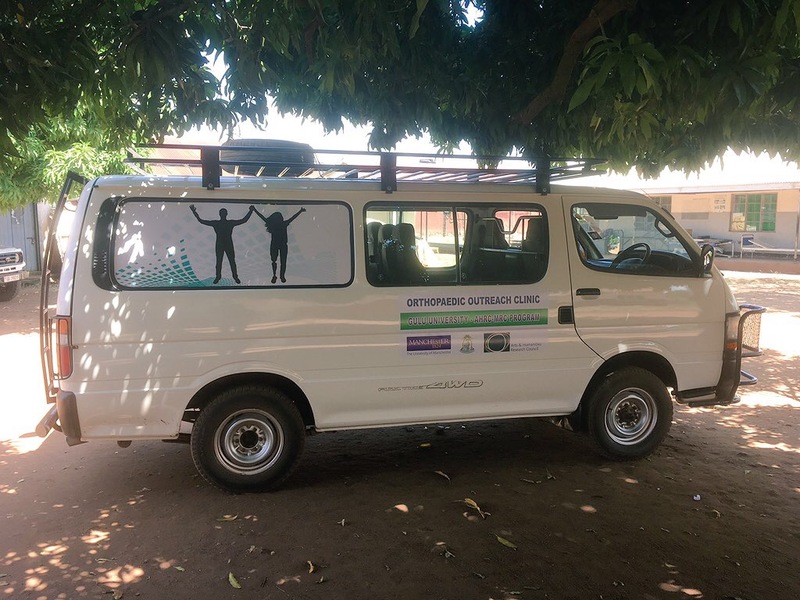 This is a MRC/AHRC-funded project in Northern Uganda, which seeks to understand the prevalence of post-conflict Major Limb Loss (MLL) in the Acholi Sub-Region of Northern Uganda. The Acholi sub-region is a fertile but impoverished region with a population of approximately 1.5 million people and a land area of approximately 28,000km2. The small town centres and the surrounding remote villages were badly affected by a prolonged civil war (1986-2006), which has left people of all ages suffered from poverty, malnutrition, disease, mutilation and Major Limb Loss (MLL) related to gunshot wounds, mines and punishment amputations. Unfortunately, the majority of victims in this region have no access to health or rehabilitation services and the level of requirement for those services is currently unknown. This project seeks to provide the first systematic study of the prevalence of these injuries, as well as the installation of an orthopaedic workshop in the town of Gulu, the establishment of a mobile orthopaedic clinic, and the initial provision of 50 prosthetic limbs using an outreach service delivery model. Further funds are currently being being sought to fit limbs to thousands more victims, as well as address numerous other endemic post-conflict health issues that we have encountered in this region. Because there are no detailed maps of the region, part of the task has been to map the region in order that the prevalence study might be able to take place effectively. This extensive and ongoing mapping exercise involves a combination of on-the-ground surveying, crowd sourced digitising through the organisation of ‘mapathons’ (using the #Huckathon website), and the development of novel remote sensing approaches (based upon ‘deep learning’ and ‘computer vision’ techniques) in order to be able to automatically detect the huts in which much of the population live using high resolution satellite imagery. Jonny Huck won the University of Manchester 2018 Social Responsibility Award for ‘Outstanding Contribution to Social Innovation’ for the mapathon activity and the associated ‘Huckathon’ software, and has released a series of freely available map sheets for North Uganda, which were recently used in order to install Mobile Data connections for all of the health centres and schools in the region. 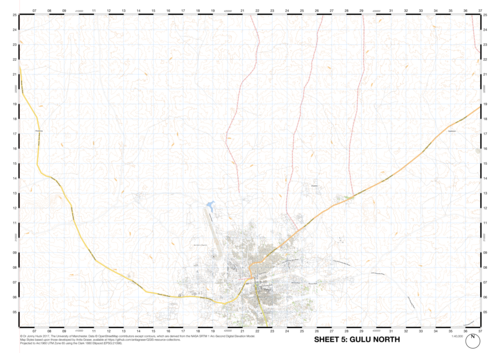 An example of one sheet from the first map series is given below.